Looking for inspiration on how to transform your outdoor space? 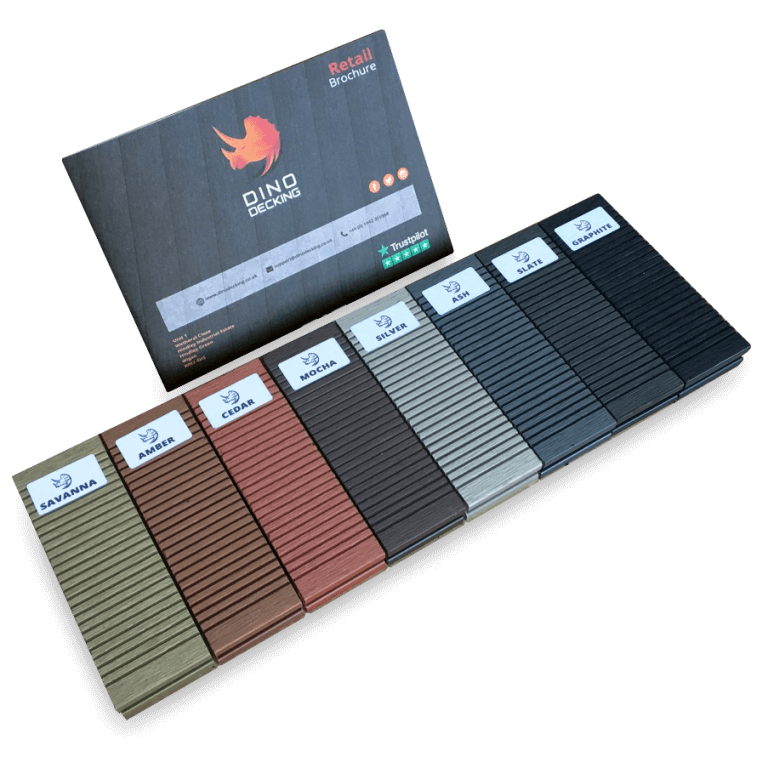 Order our FREE sample pack of composite decking boards to examine the colour range we offer by eye. Available in Savanna, Amber, Cedar, Mocha, Silver, Ash, Slate and Graphite with 2 sided textures there will be a board in this pack that will perfectly match the deck you have been dreaming of. Alternatively give us a call on 01942 355968 or email us support@dinodecking.com and our friendly and experienced composite decking team can help answer any questions and recommend the best options for your unique outdoor space.